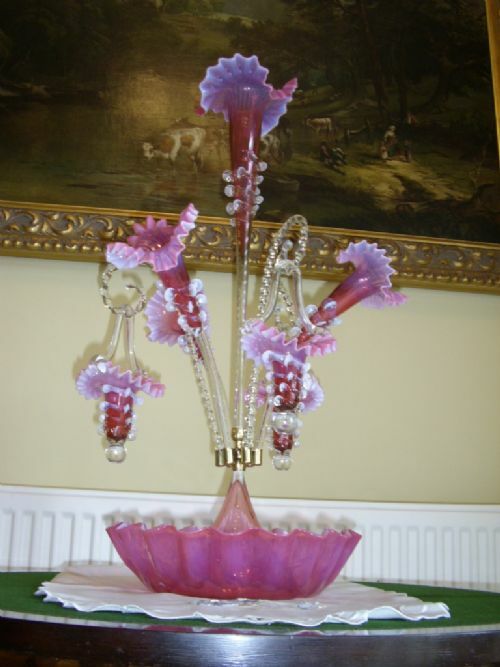 Beautifully made with three main fluted and crimped detachable glass trumpets,inter-twined with three clear glass twisted hanging arms,from which a further three smaller blind ended bulbass fluted trumpet baskets are attached. 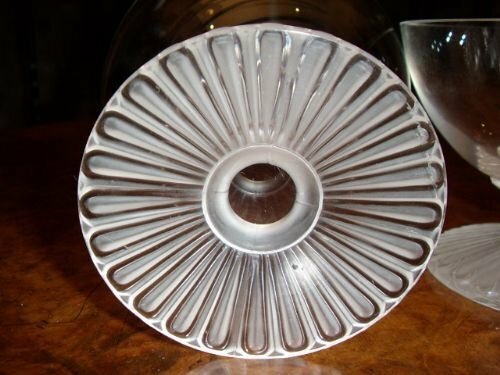 All perfect throughout with no rough or sharp areas. Hanging Tumpet Baskets Dia 4.25 x 7.5 length. 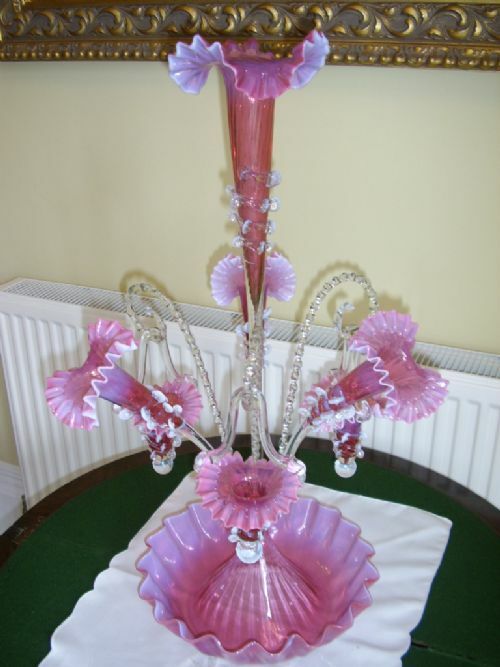 A fantastic table centrepiece which can be used or kept as a stunning piece of hand made glassware. 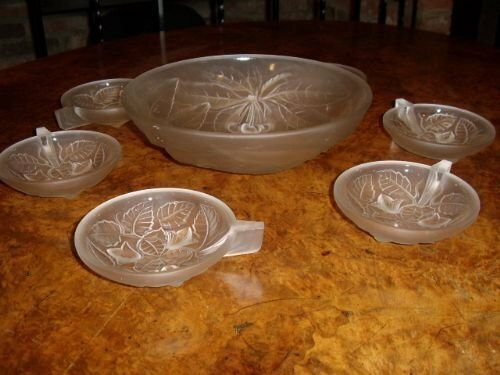 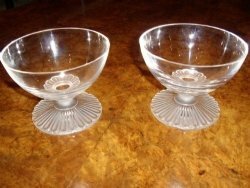 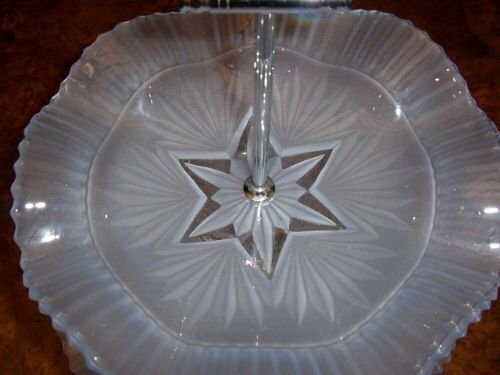 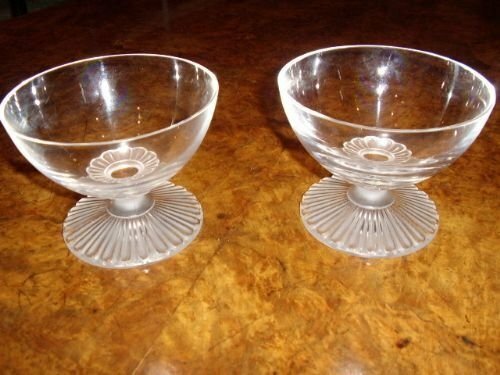 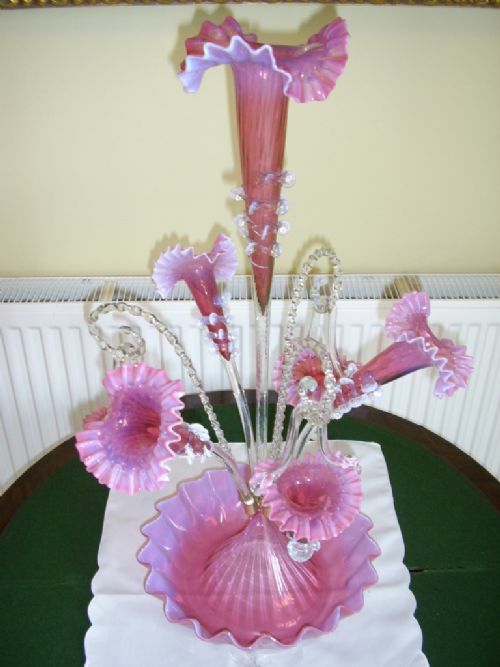 Venetian glass is very expensive to but these days and this particular example is of a large scale and has emense detail and is of very good quality and weight,especially as the item has been made with a lovely mixture of milk glass carefully added to the fluted edges. 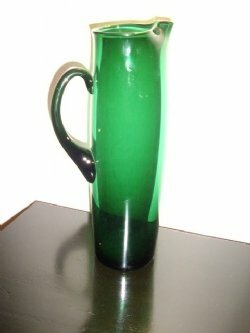 COLLECTION IN PERSON ONLY BY ARRANGEMENT. 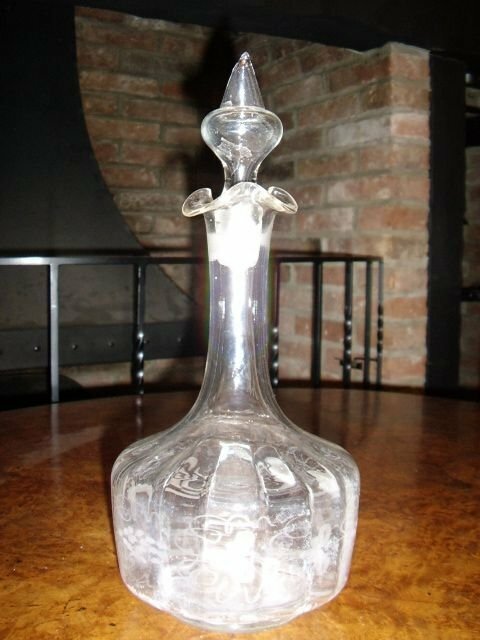 A rare hand blown glass decanter from around the early Victorian period,which has etched decoration on main body and a fluted neck with hollow stopper. 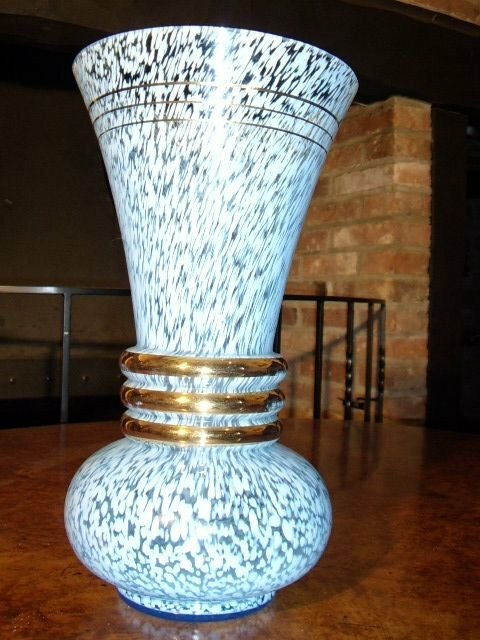 A large speckle glass vase,finished in a powder blue and white,with three heavy gold bands around the middle and three fine gold lines around the neck. 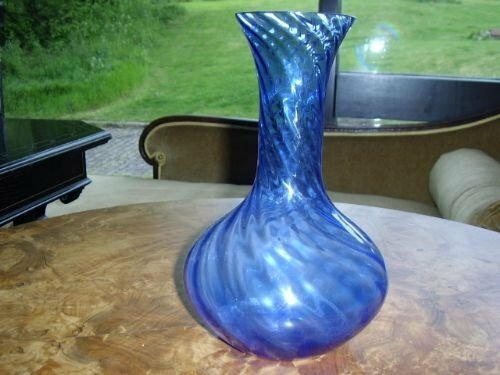 A nice shapely bulbass body and flaired wide neck with top edge ground down and polished. A lovely rich green glass euwer for watering the plants perhaps,all hand made to a good quality being in perfect condition throughout with solid handle. 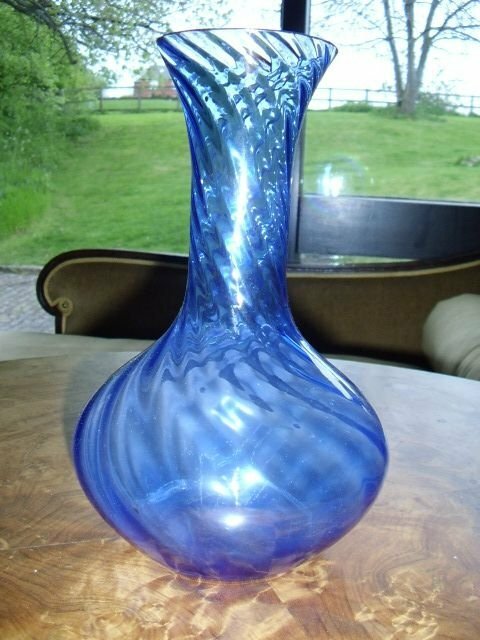 A lovely ocean blue coloured glass vase ,with a twist design flowing down the vase to elaborate its shape.A clean apealing shape in good condition. 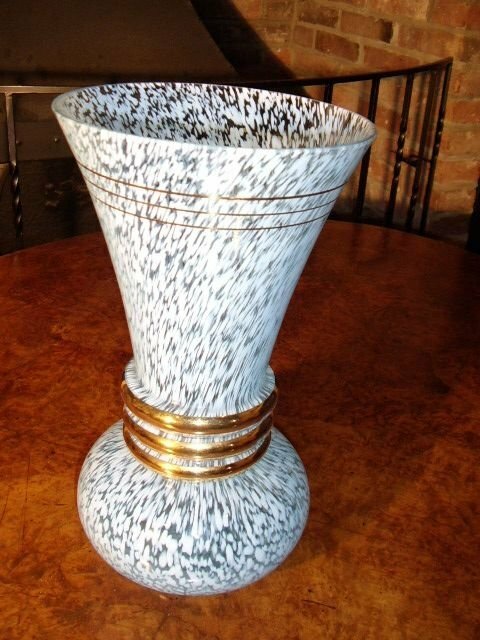 An interesting tall ribbed glass vase with a striped mint & cream finish with opaque frosted finish throughout. 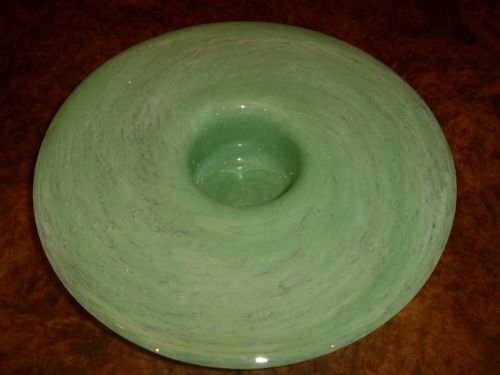 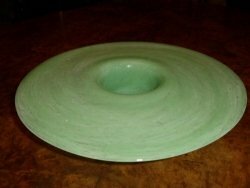 An unusual hand crafted green glass circular dish. 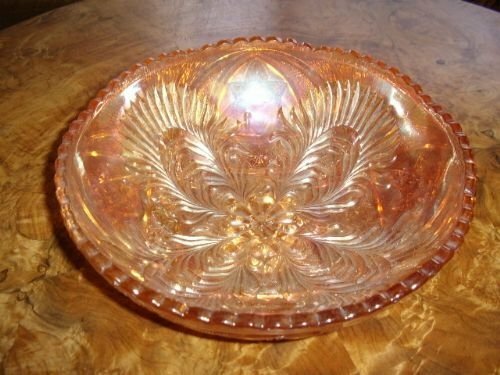 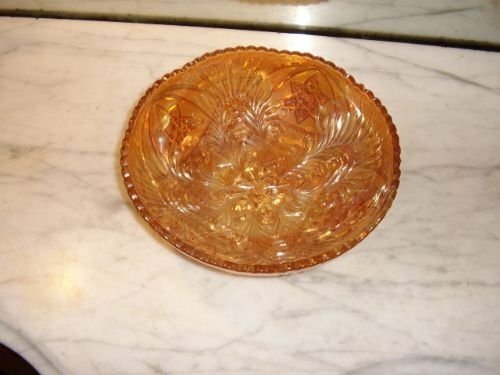 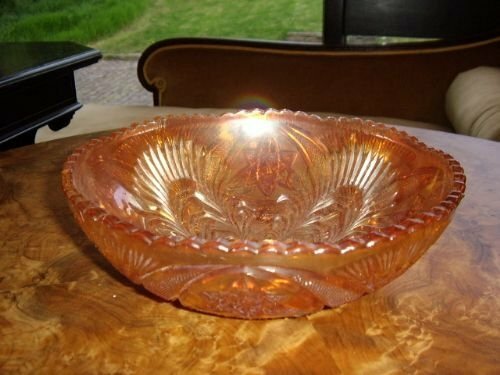 A chunky cut orange carnival glass bowl with deep relief decoration and ribbed edge. 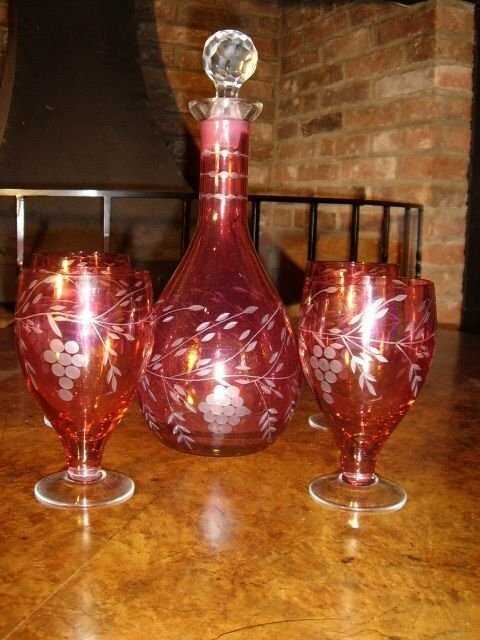 Lovely rich reflective colour with a full pattern. 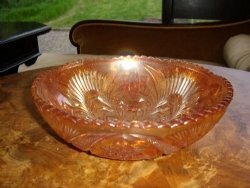 In good condition with no cracks or damage seen. 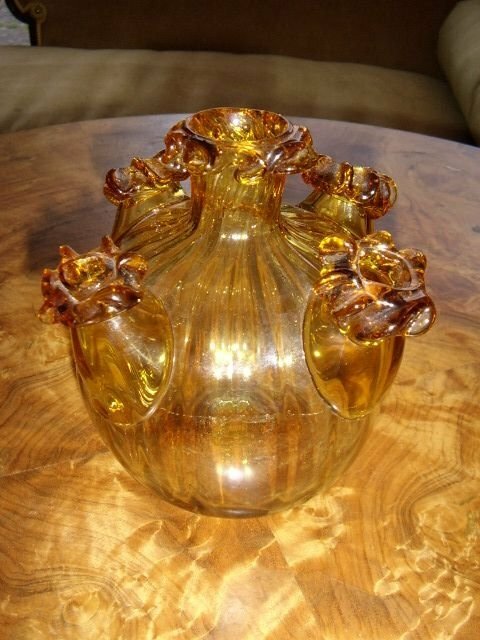 An unusual hand crafted amber glass posy holder with multiple ports and crimped edges. 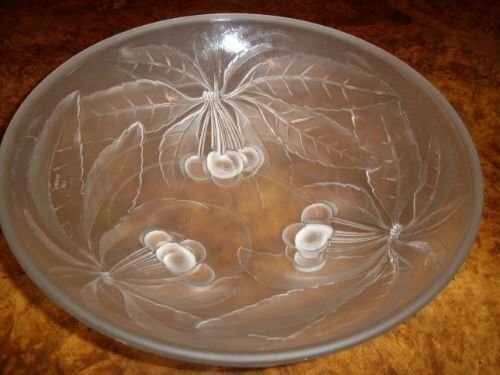 In good condition with no cracks or chips seen. 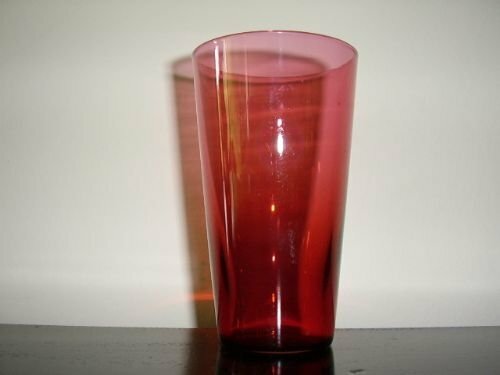 A early Victorian period cranberry glass beaker finished in a rich colour and finely formed without any imperfections,with no cracks or chips seen. 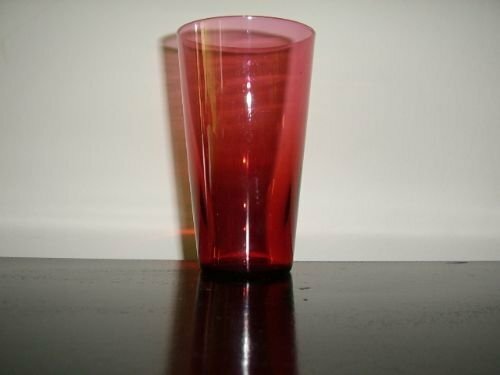 A good example with the correct balanced colour. 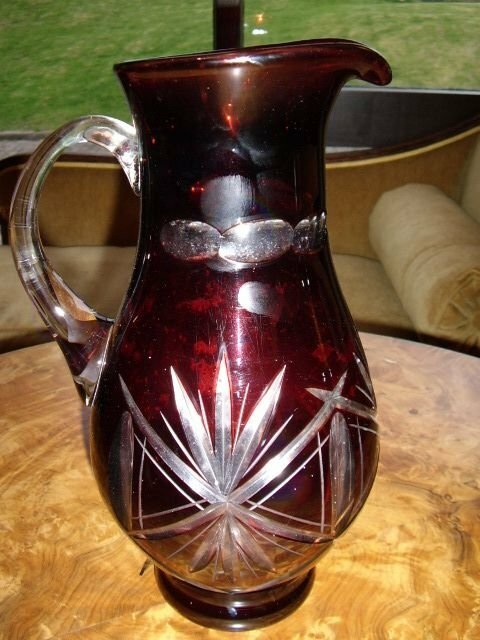 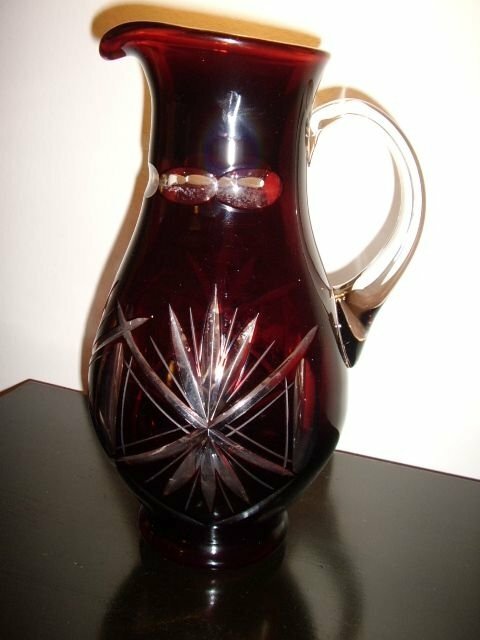 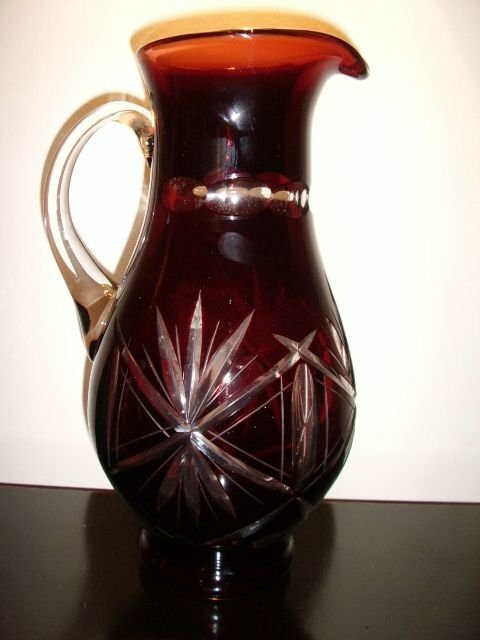 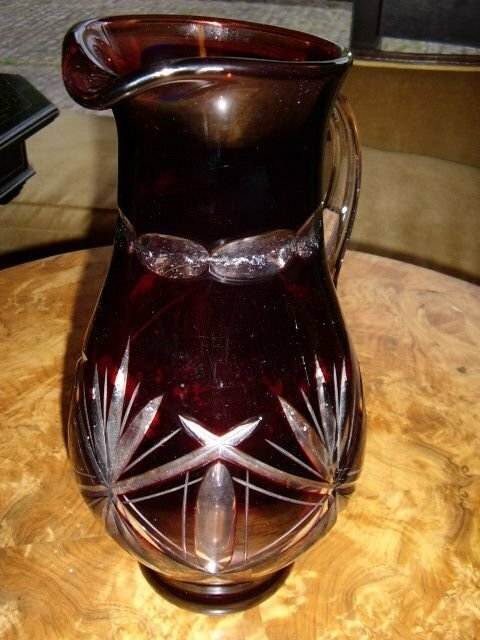 A heavy dark ruby glass coloured pouring jug,with deep star cut design on main body,with clear glass handle. 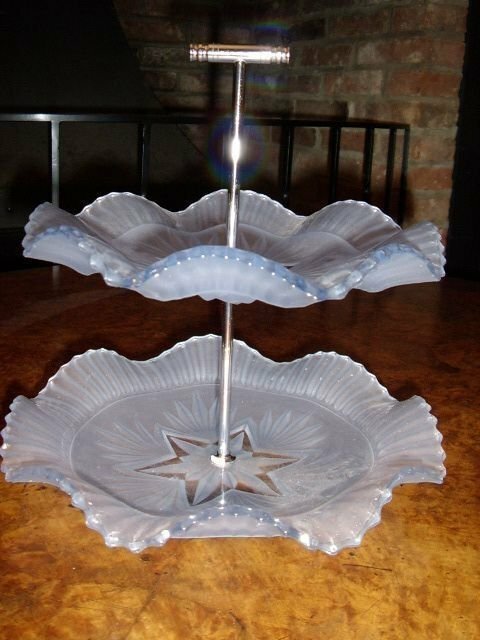 A Fabulous two tier opaline glass cake stand with clever three diamentional design etched into the glass from behind and providing a feel of depth. 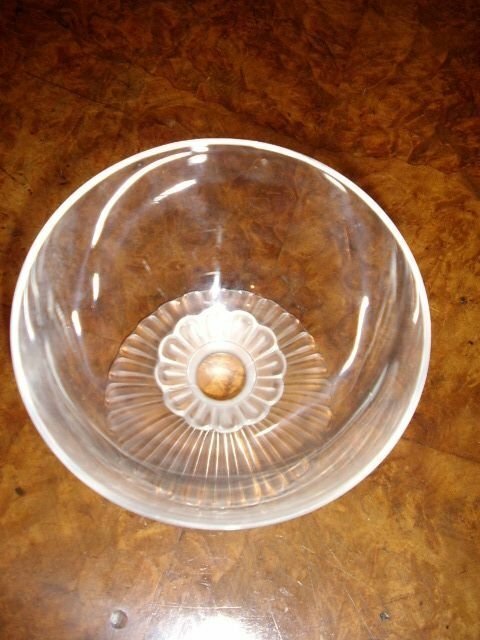 Highly glazed finish on surface with no dameage. 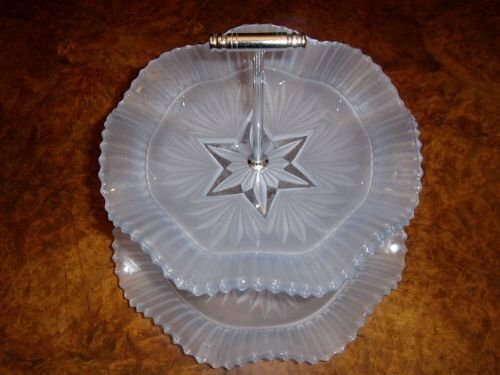 The two dishes are joined via a chromium plated rod with 'T' bar handle at top. 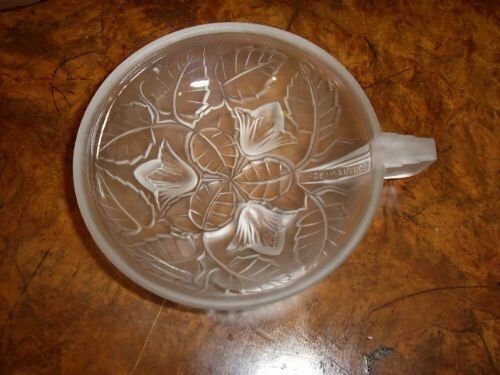 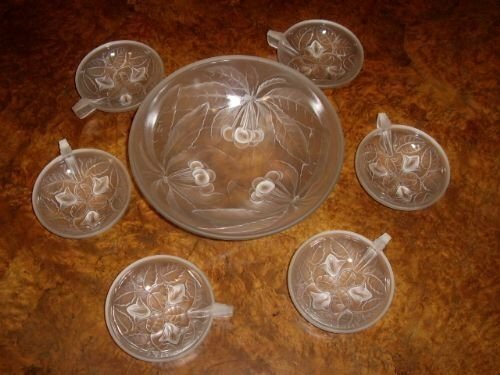 Very useful and very much back in fashion,this is one of the nicest i have seen in glass and has overtones of the well known maker Lalique. 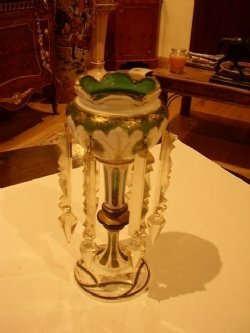 The effect achieved is a vision of three diamentional translucentry and shows athe style known as art deco with the stepped handles on all the samplers. 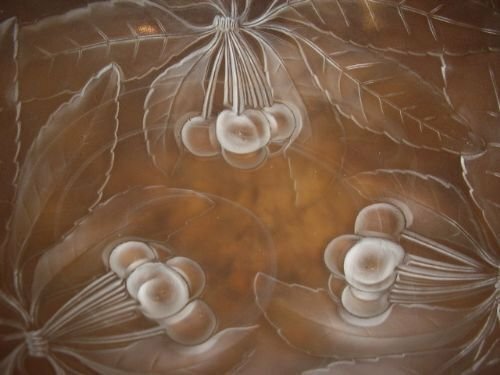 The makers name is embossed on the large main bowl . 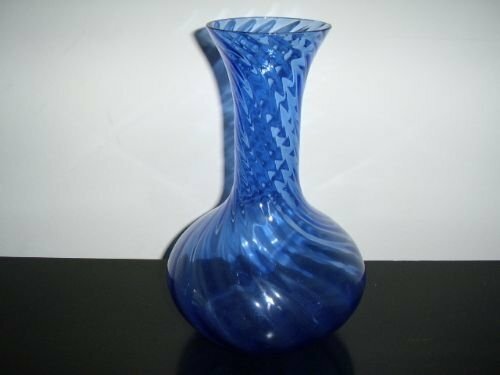 Condition is excellent and has no scratches seen. 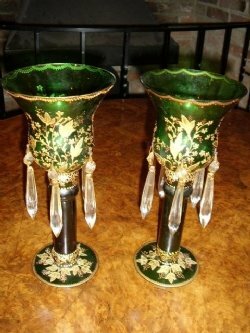 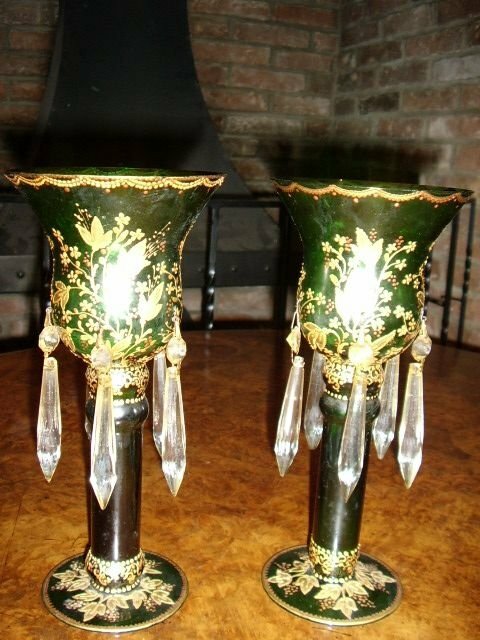 A fine pair of Venetian green glass table lustres with clear glass moulded droppers,finished with enamelled & painted gilt decoration. A substantial pair with heavy round column supports with round pad bases. 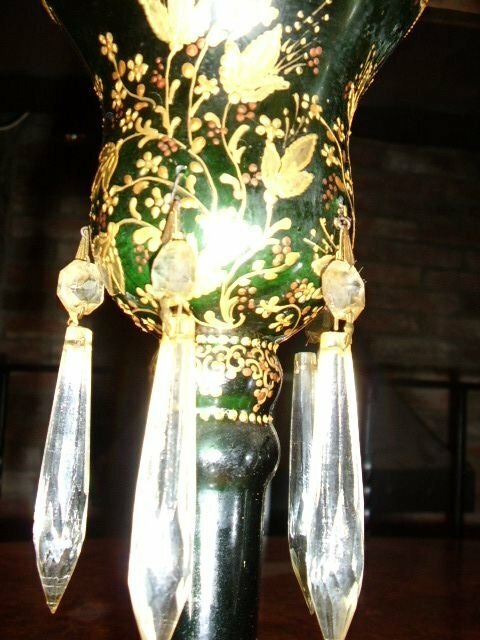 Decorated with ornate gilt pattern and enamelled with fine flower designs. 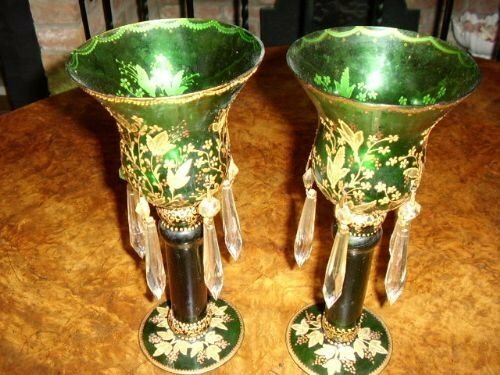 A lovely example of enamelled green glass table lustre with gold decoration. 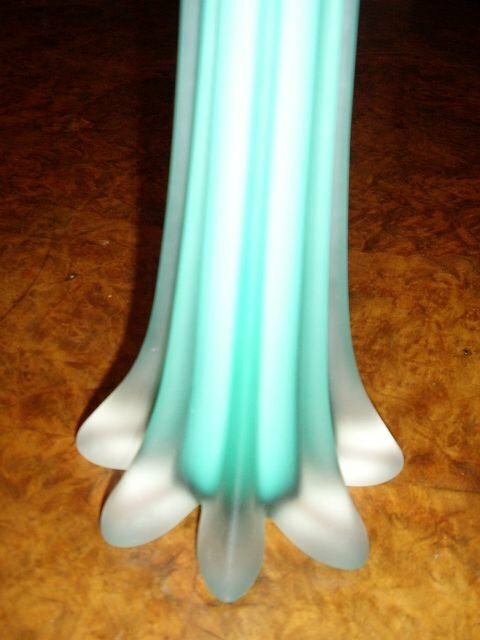 Nice condition with six all droppers in place. The Main body finished with a enamelled leaf design outlined with a fine gold line. 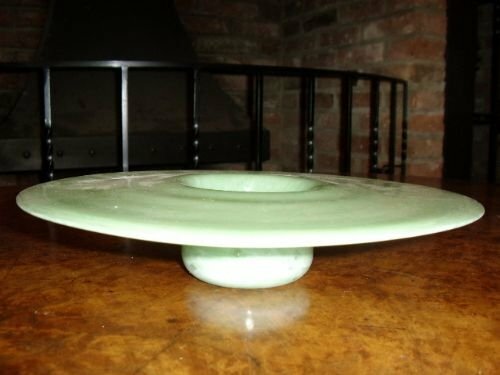 Measurements are 10 Inches in Height x 4 Inches Diameter re the base. 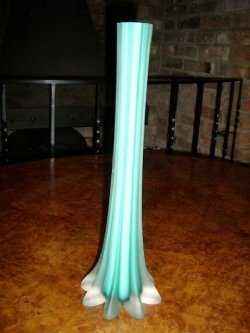 There is very few examples of this beautifully crafted glassware available today. 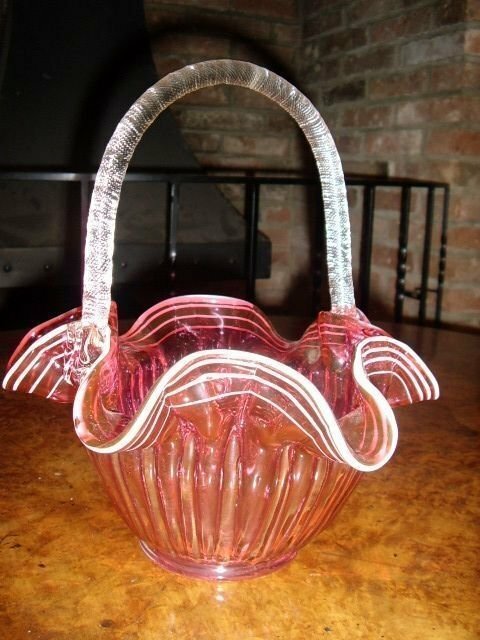 Be quick to buy this piece as I have only dealt in three similar items to this one in 10 years. 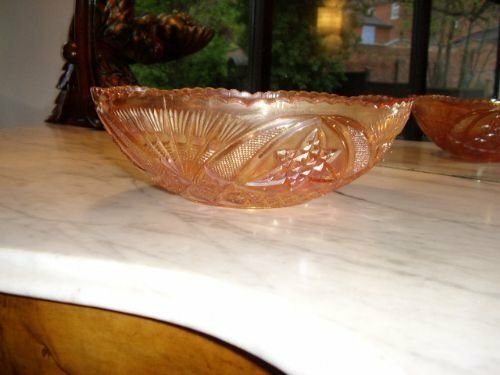 Condition is perfect for one,but the other has a little chipping in one area on edge of base,which could be ground out easily. 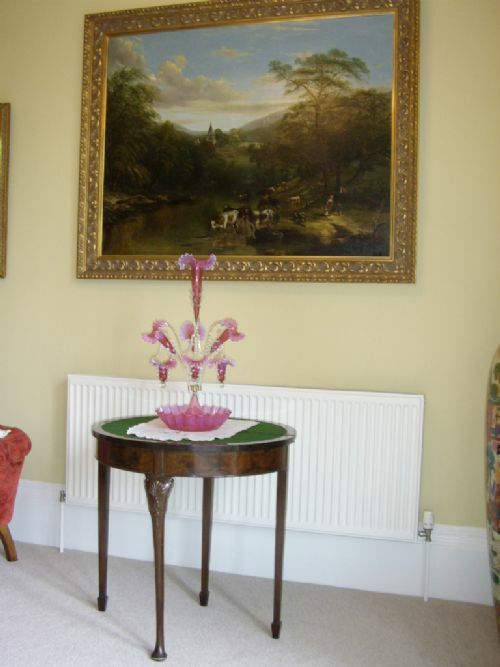 Therefore our pricing will reflect the above condition description. 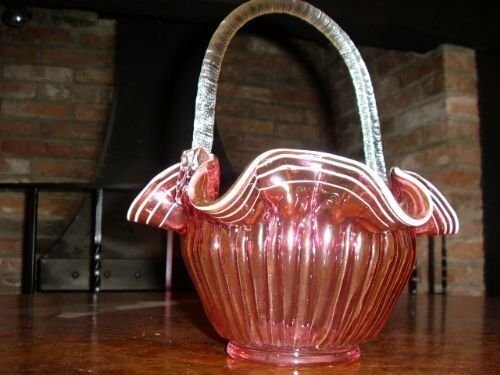 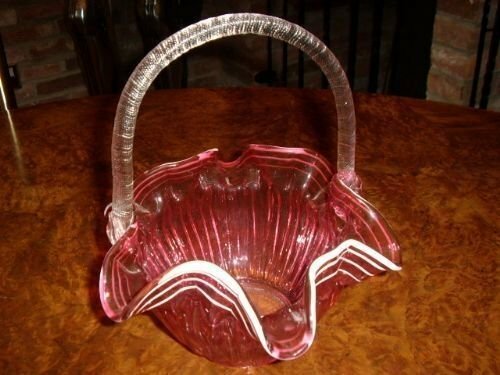 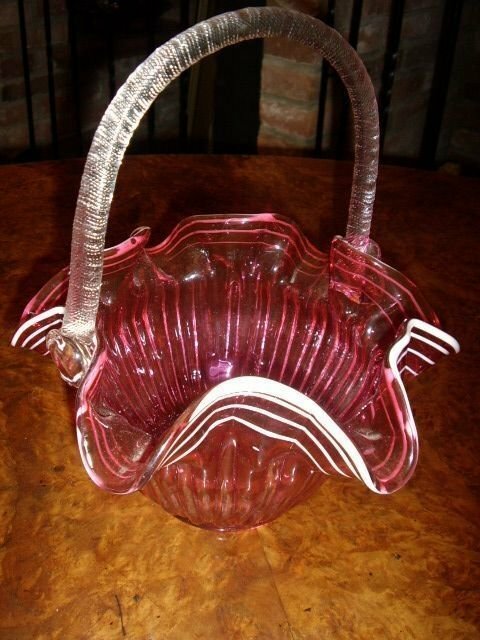 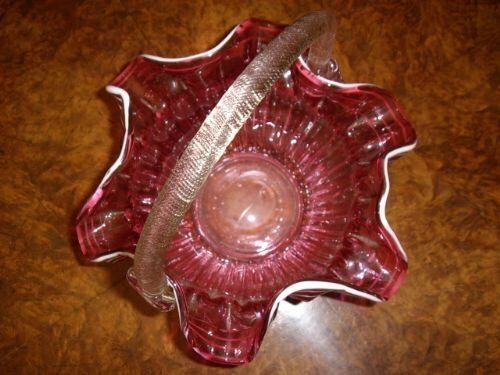 An absolutely stunning Victorian Cranberry Glass crimped basket with ribbing and clear glass looped basket handle. Lovely condition with no damage or repairs seen. 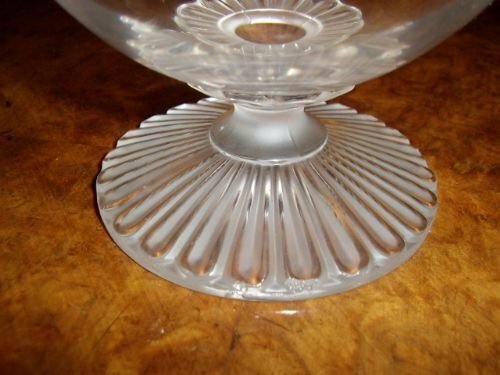 There is a tiny air bubble seen on the white trim which has surfaced & burst during manufacture. The colour is bang on the traditional early cranberry glass and as usual has all the imperfections of air bubbles in the glass misture. 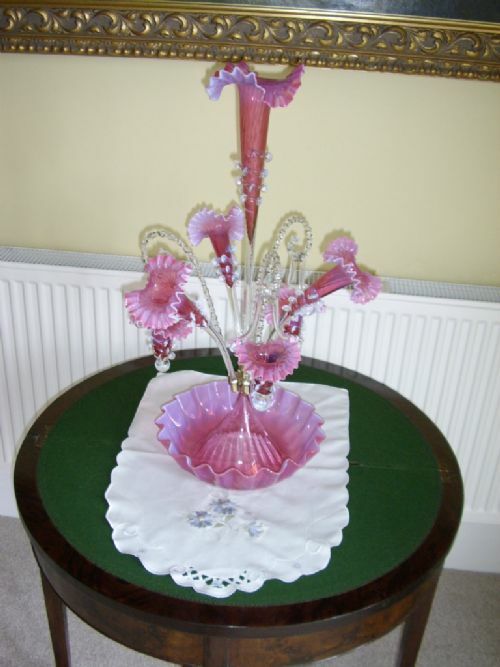 COLLECTION IN PERSON ONLY DUE TO FRAGILE NATURE OF GOODS. 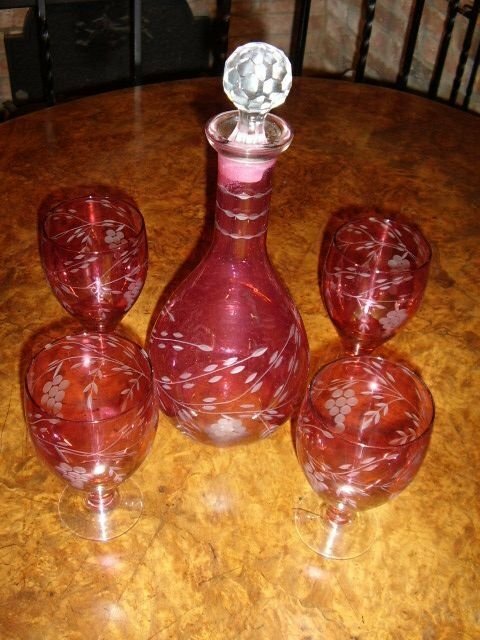 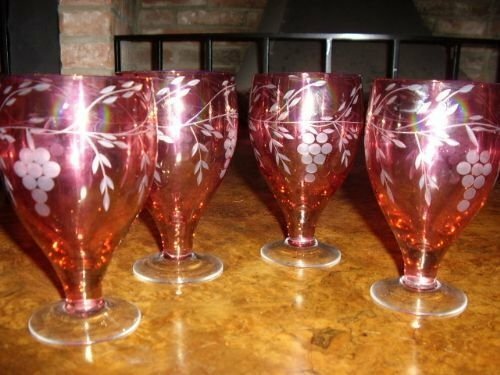 A Cranberry Glass Decanter Set with four matching glasses and having an etched design throughout. 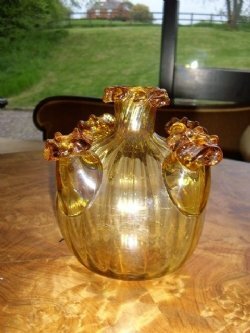 A lovely rich colour and with original clear glass stopper which is a good fit. 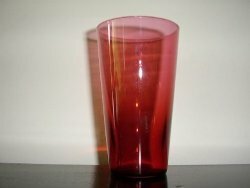 The condition is good with no damage or chips being seen. 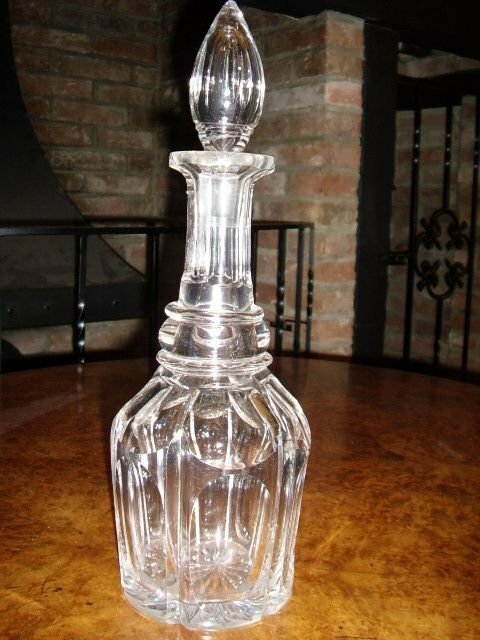 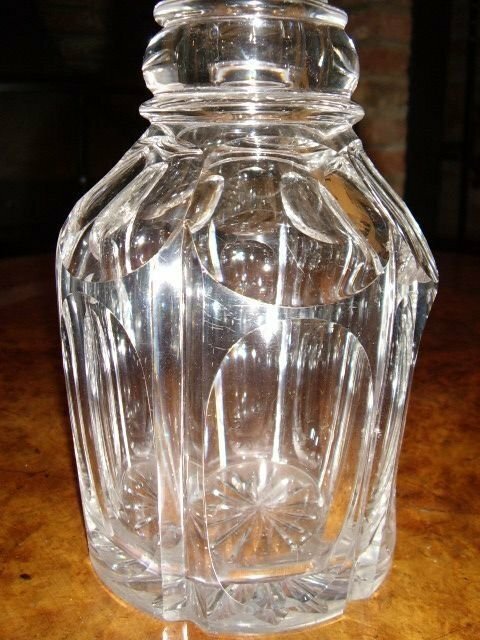 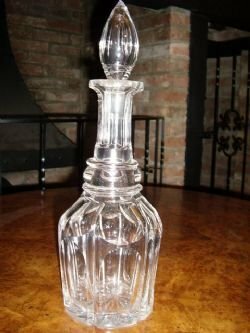 A very good quality cut glass decanter,which has been kept unused in the china cabinet for many years. 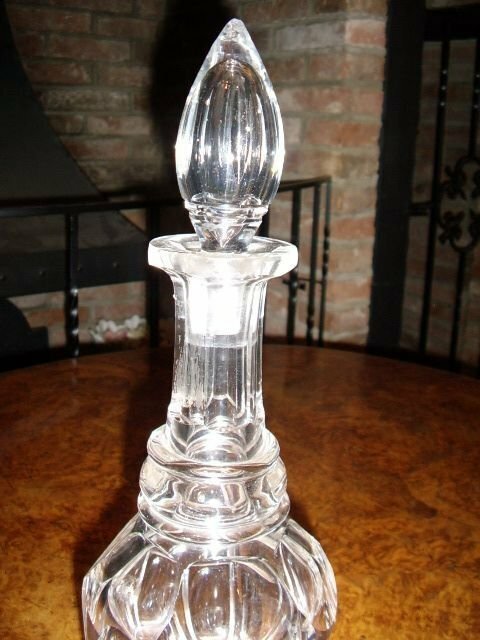 The cut panels have been polished back to reveil a clear finish,with the decanter having a thick base. The whole decanter is of a heavy built and is a weighty piece with flarred neck collar to prevent it slipping from your grip easily. 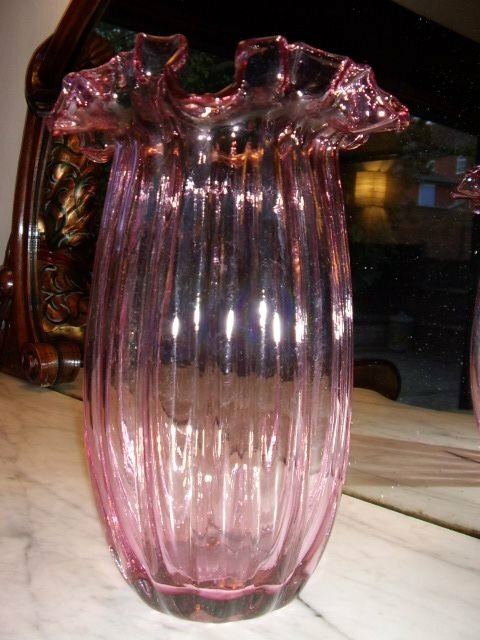 In all,this item is a quality example compared to the more commonly seen moulded examples. 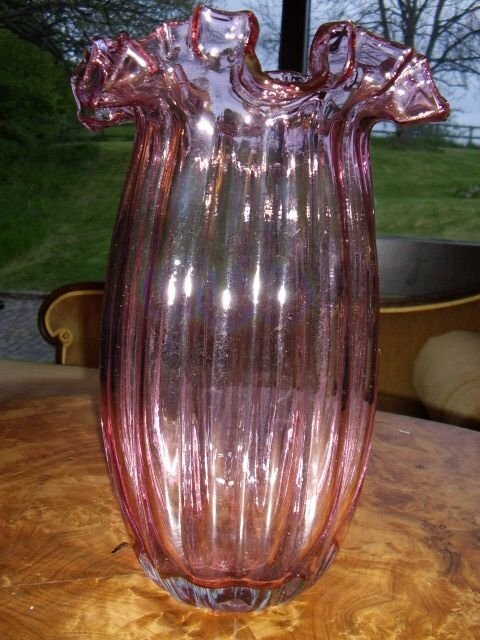 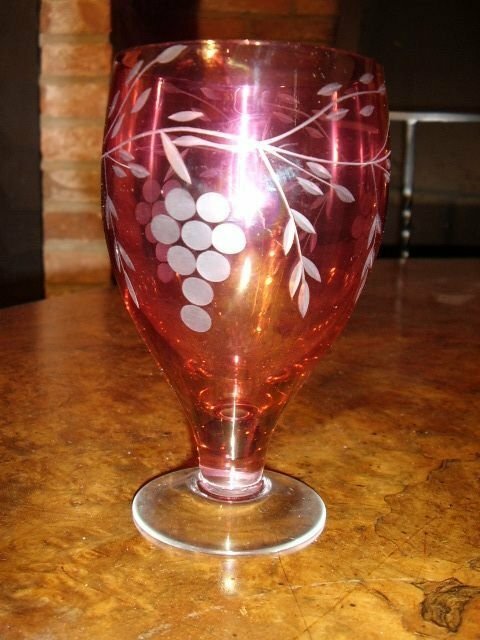 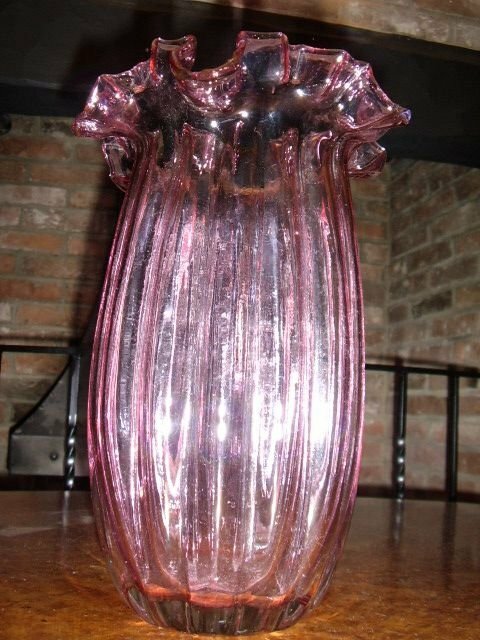 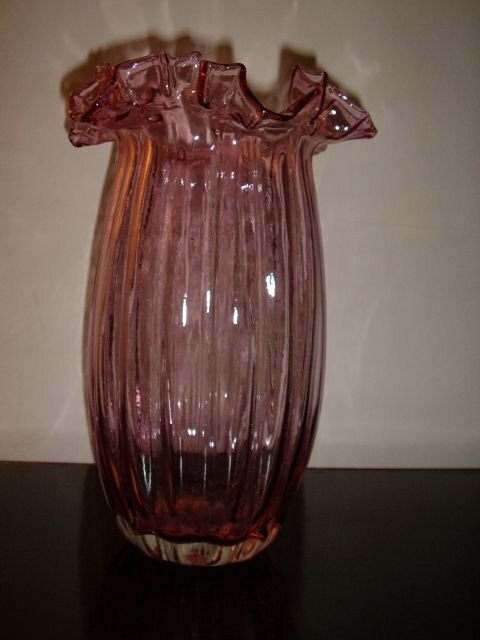 A large example of a cranberry glass flower vase,which has a splendid fluted design and broad ribbing down the main body. 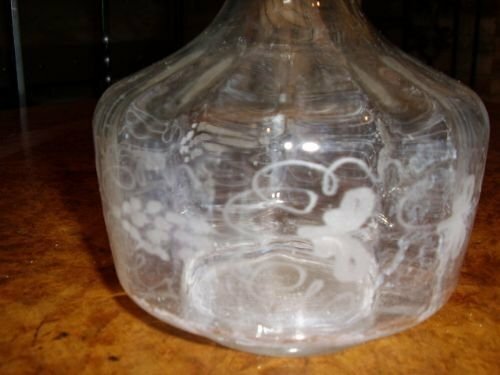 Afew air bubbles as usual are evident. 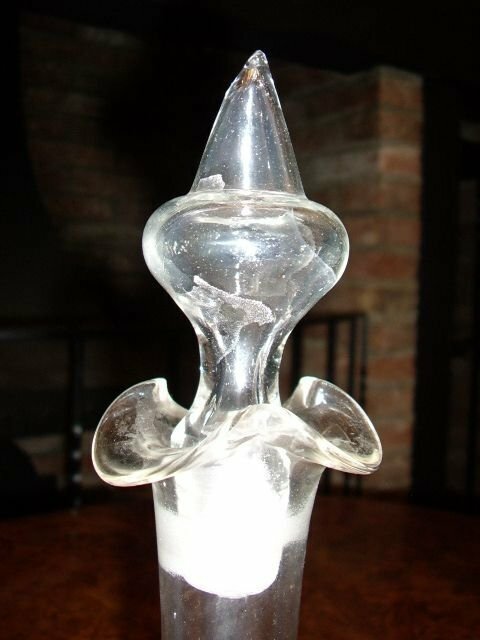 There is no damage or cracks seen.